Urban Modelling Group's, UMG, cutting edge software and modelling techniques create still images and flythroughs of buildings, cities and other virtual environments quickly and cost effectively. 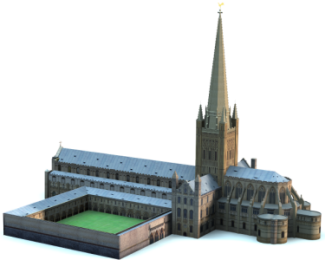 By drawing on a variety of data sources geographically accurate virtual models of urban environments are created, ranging from exteriors and interiors of individual buildings to entire cities, which are suitable for a variety of uses from planning applications and redevelopment opportunities to education and tourism. See the panel to the left for links to Case Studies describing applications of SYS Consulting Urban Modelling expertise to generation of 3D Virtual Reality Models. Further information can be found on the Urban Modelling Group and Crowd Simulation Group websites. SYS Consulting also provides services for 3D printing for rapid prototyping of 3D models. Recent advances in 3D printing technologies make it possible to print 3D physical models with realistic surface colours in a relatively short time period.